How Long Do Negative Items Remain On Your Credit Report? 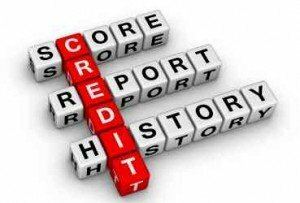 The information on your credit report is very important, and influences your credit score. When you have negative items on your credit report, they are plugged into an algorithm that is used to determine your score. And your credit score, of course, influences the rate you pay on loans, and can even factor into other financial services prices (like insurance quotes). Late payments: These can actually remain on your report for up to seven years. With credit cards, it is also common to see a month by month record of your payment history going back three years. Chapter 13 bankruptcy: Your Chapter 13 bankruptcy remains on your credit report for up to seven years as well. Because a Chapter 13 bankruptcy involves you creating your own repayment plan, it can be removed from your report sooner. Chapter 7 bankruptcy: Since some of your debt is written off with this type of bankruptcy, it remains on your credit report for up to 10 years. Collections accounts: If your credit account, or some other account (like utilities or medical bills), goes to collections, it can remain on your report for up to seven years. Even after you pay off the account, it might stay on your report. Foreclosure: Walking away from your house can result in a mark that stays on your credit report for up to seven years. Public record items: Like most other negative items, most of your public record issues will remain on your credit report for up to seven years. One of the exceptions is the tax lien. Any tax lien you have might stay on your credit report indefinitely. Inaccurate items: If there is an inaccurate item on your credit report, you can dispute it, and have it removed. If the item is inaccurate, the credit reporting agency has to remove it within a “reasonable” period of time, which usually means that the item is removed within 30 days of when it was found to be inaccurate. It’s worth noting that most of these items remain on your credit report “up to” a certain period of time. This means that they might be removed from your credit report before the maximum period of time. If an item has been on your credit report for too long, you can dispute the item, and ask to have it removed. So if you notice that your foreclosure is still on your report after nine years, you can dispute that item. Get your FREE Credit Score and start saving save money. Even if certain items remain on your credit report for seven years, they become less influential on your score even before they are removed. MyFICO points out that a collection account that is five years old will have less of an impact than a collection item that is only five months old. The longer you go without a new problem, the less of an impact the older items have on your score. Your payment history is constantly being reported on — especially if you have a revolving credit account like a credit card. As you make more and more payments on time, your better habits, along with their recency, will begin to make a big difference in overwhelming the negative items. Even after a major problem, like a foreclosure or bankruptcy, if you start rebuilding your credit and do a good job of showing responsible behaviors, you will find that you can begin to see better offers and results within two or three years. Your best option is to make payments on time as much as possible. Payment history is the most important aspect of your credit score. As a result, you don’t want negative payment items dragging you down. Make an effort to pay on time as much as you can, and you will have a better score. And, if you have poor credit right now, focus on your payment history to help you begin rebuilding your credit score faster. Good info. Sometimes life happens, but your best bet is to live well within your means and not get any dings against your credit, anyway. Or do what we’re doing, and go for a score of 0. Terrific post! A lot of useful information that most of us wouldn’t know if we were in this situation. Is it possible to get back to “perfect” credit after having a bankruptcy?